Sometimes you order food at a restaurant that you didn't even want in the first place, and it ends up being one of the top three best decisions of your life. Maybe I'm being a *tad* dramatic. And also a little bit accurate. At the end of March, Jon and I visited our friends Mark and Kelly in San Antonio. As always, we had a great time, and they took us to some of the best restaurants in town. One such restaurant was Hot Joy, located on San Antonio's beyond-cool South Alamo Street. 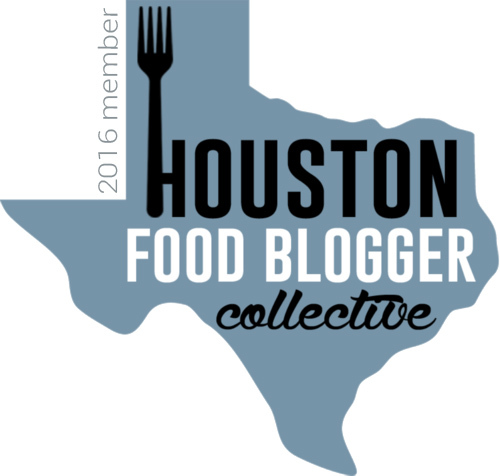 The Texan-Asian restaurant (how's that for the most ideal fusion of foods ever??) 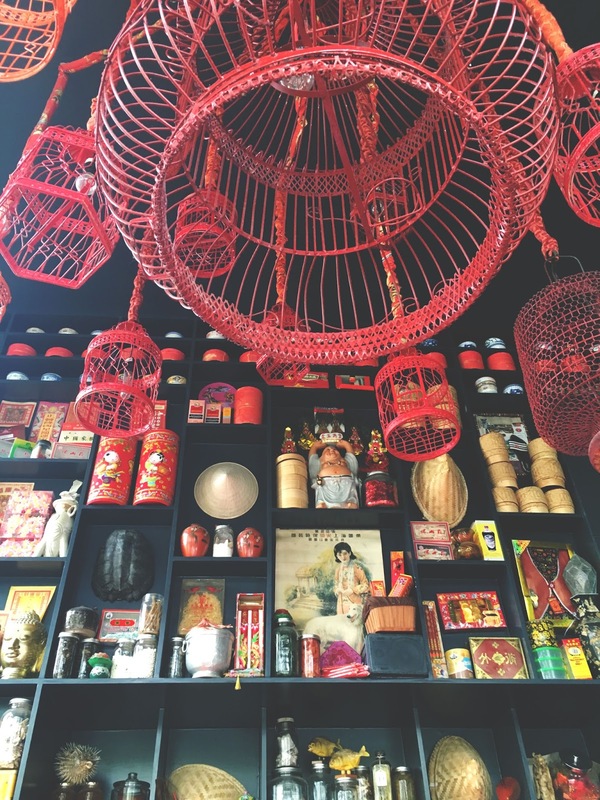 houses an interior that's a bright, eclectic mix of edgy, Asian-inspired decor. We opted to sit on some comfy couches near open windows in the restaurant's lounge, which overlooked the lively San Antonio scene around us. To start the meal off right, I ordered a glass of rosé (I've really been on a #RoséAllDay kick lately). Mark let me have a sip of his wasabi pineapple mule, which was light, refreshing, not too sweet, and had a little kick to it! For our first round of food, we ordered roasted edamame and tater to chaat to share. 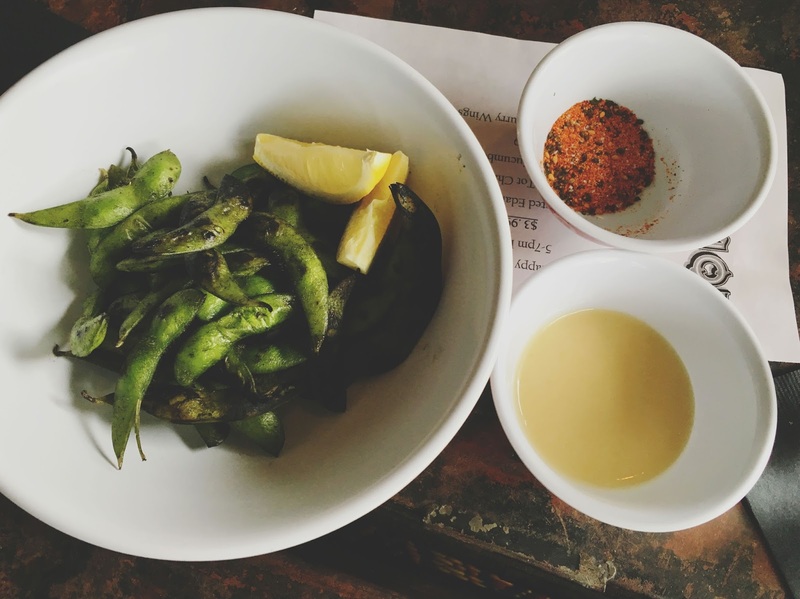 The roasted edamame came with a miso garlic butter (which we asked to have on the side since I was eating a vegan diet at the time), and tograshi salt. I just ate the the pods plain, and they were your standard edamame for the most part, but with a fun charring on the shells from the roasting process. 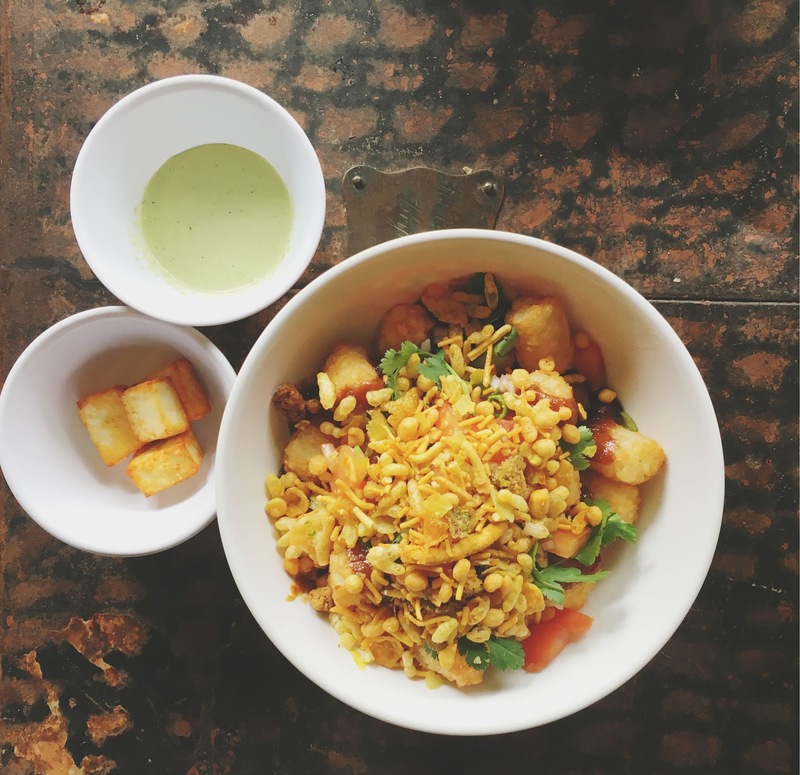 The tater tot chaat was my absolute jam. Fluffy tots were tossed in tamarind ketchup, paneer (which we asked for on the side to make vegan), chutney crema (also requested as a side), Indian snack mix, and cilantro. Y'all, these were SO GOOD. The tamarind ketchup created a barbecue sauce effect, and the Indan snack mix added a wonderful crunch to every bite. The dish was super savory and super indulgent, and I honestly didn't miss the paneer or chutney crema! I was a big fan of these mighty tots. I consulted our incredibly friendly and attentive server about my final round of food. The menu has several naturally vegetarian items, but opting for vegan is a little trickier. What I really wanted was some stir fried Thai noodles, but they contained a fish sauce that was necessary for the dish. Essentially my only option was to order the double miso ramen without egg. I was pretty disappointed. 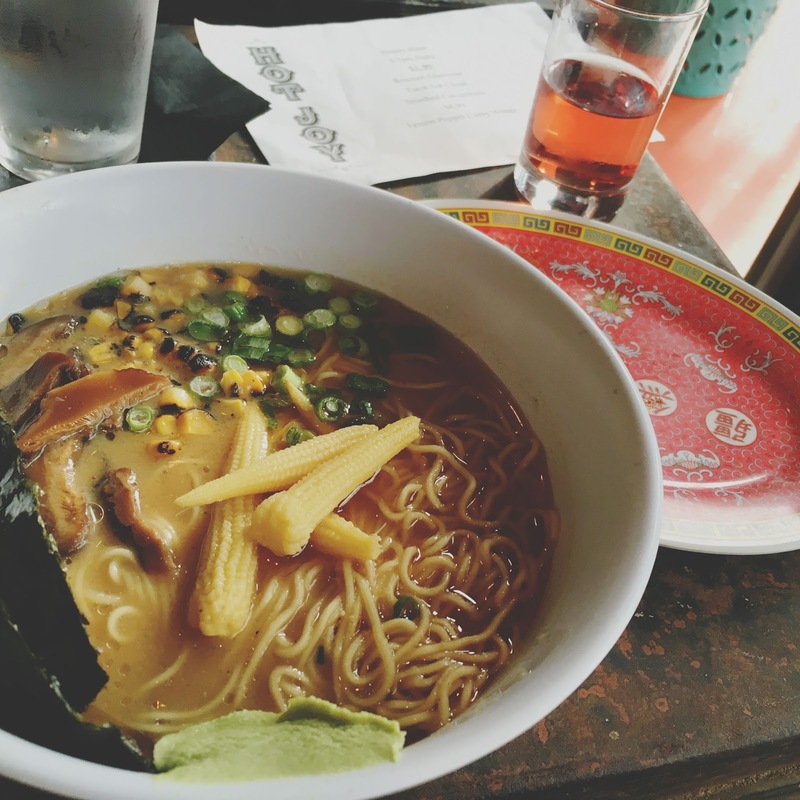 What happened next was me experiencing the best ramen I have ever had. Not in the past year. Not in San Antonio. Ever. As in, During the course of my life here on Planet Earth. I know, I know, give me a break, Kim. But seriously! This food-glorious-food bowl of hot joy <~~~ (see what I did there?) was absolutely outstanding. 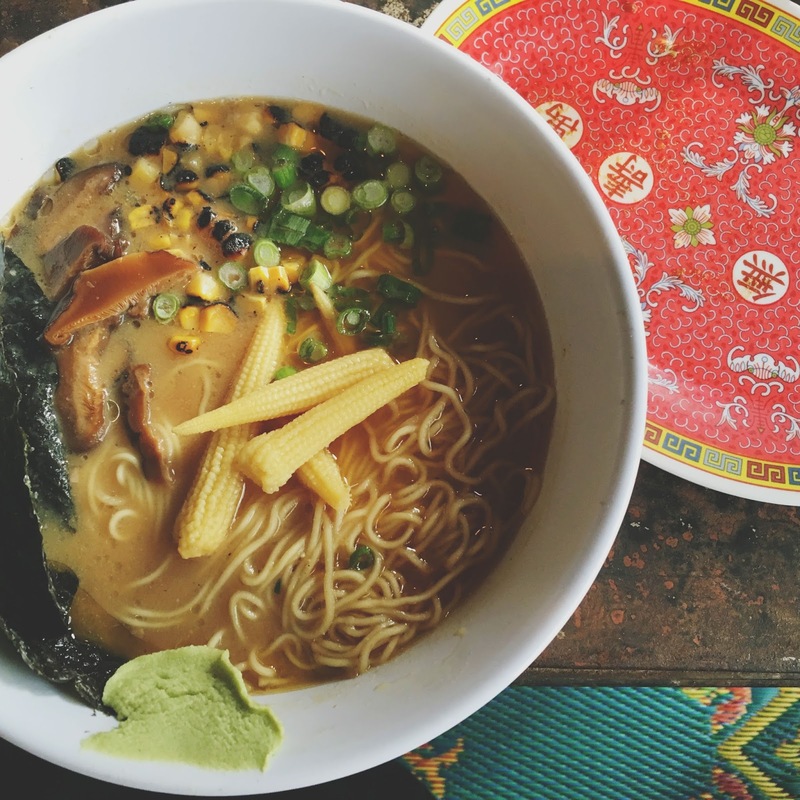 All of the ingredients were phenomenal: silky, buttery noodles; chewy, hearty shiitakes; tart, charred baby corn; fragrant burnt garlic oil; and a sensuous miso broth base. These out-of-this-world components created a serious flavor explosion, and I clung dearly to every bite. It was a wonderful, blissful accident that this was the entree I stumbled into. 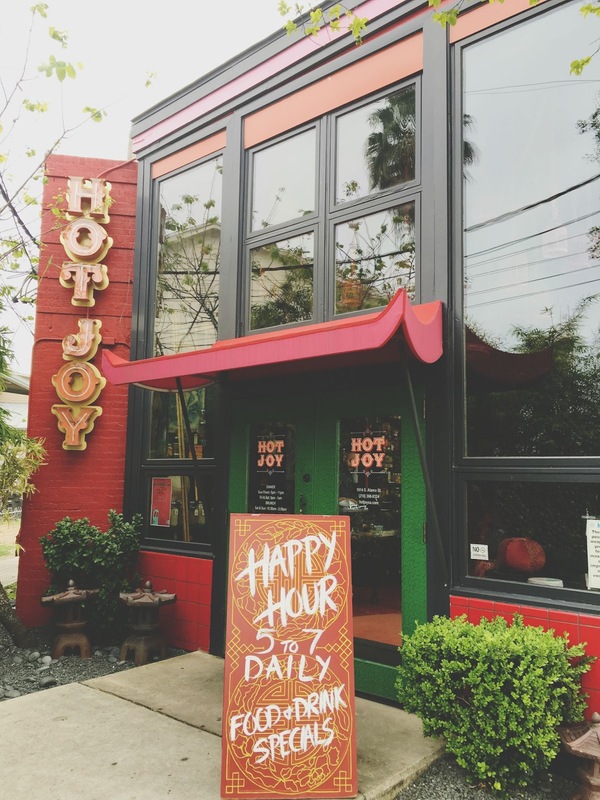 If you're traveling to San Antonio, Hot Joy is one restaurant that can't be missed. 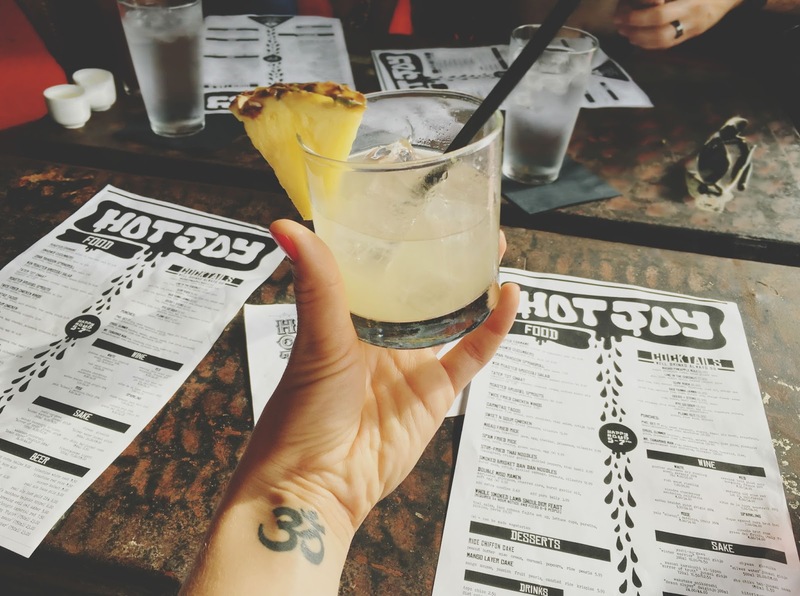 The food is interesting, vibrant, and delicious, the atmosphere is fun, and the service is fantastic. I am incredibly happy we went there during our most recent visit to San Antonio!